ASIA ON A ROLL "While growth may have slowed recently, Asia is still creating wealth at a pace that outstrips other regions.'' MS TAN SU SHAN , DBS' group head of consumer banking and wealth management. The increasingly challenging conditions facing private banks have created a rather stark divide over the past few years between those that called it quits in Asia and those that see these exits as an opportunity to dig their heels in even deeper. Banks such as ABN Amro, Societe Generale, Barclays, ANZ and Coutts have sold their private banking businesses in Singapore - and often in other parts of Asia too - to focus on strengthening their foundations back home and in larger markets. This, in turn, has provided a wealth of opportunities for other banks - those which see Asia as their growth market over the long term. Chief among them are the local private banks, particularly DBS Bank and Bank of Singapore, which have made several acquisitions over the years from those banks that have decided to leave the Asian wealth business. To them, these purchases are a no-brainer as they see the long- term potential of Asia as being well worth the investment and the slog of enduring the current slowdown in the regional economy and volatility in the financial markets. DBS announced at the end of October that it was buying ANZ's wealth and retail business in Asia, gaining some $23 billion of assets under management in the process. It was the latest in a series of purchases DBS had made in private banking over the years. In 2008, it acquired the sound assets of Bowa Bank in Taiwan; took over Royal Bank of Scotland's retail and commercial banking businesses in China in 2010; and snapped up Societe Generale's Asian private banking business in 2014. 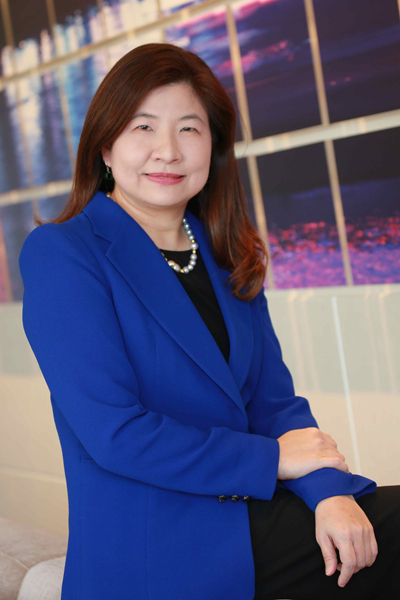 Ms Tan Su Shan, DBS' group head of consumer banking and wealth management, said the bank's ambition in private banking is founded on the simple fact that Asia is where the growth is. "While growth may have slowed recently, Asia is still creating wealth at a pace that outstrips other regions. As an Asian bank rooted in Asia, growing and keeping our leadership position in wealth management here will continue to remain an integral part of our overall strategy." DBS' strategy has borne fruit. In terms of assets under management, it is now the only Singapore bank to be ranked among the top five private banks in Asia. But Ms Tan said that is certainly not the endgame and that more hard work lies ahead. For banks to create a sustainable wealth management business, they have to "build scale, be sustainable and invest for the future", she added. "Secondly, banks must be able to serve the local and global needs of Asian clients. It is not enough to just bring a Western platform to Asia and do a 'plug and play'. "Clients here demand specific Asian solutions that may require specific customisation to local currencies, local assets and liquidity solutions." 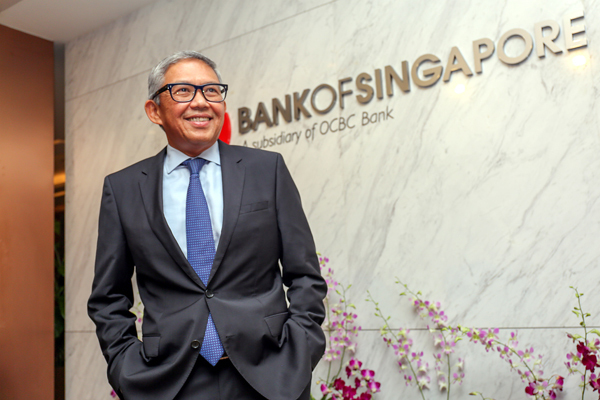 Bank of Singapore chief executive Bahren Shaari noted that the challenges in the sector are many, with savvy clients having complex and particular needs. "The private banking industry is facing significant margin pressure caused by increasingly stringent and costly regulatory requirements, increased volatility across financial markets, subdued client activity and loss of fees," he said. Mr Ng Wee Siang, senior director in Fitch's Financial Institutions Ratings group, said a number of banks from Europe were having it particularly bad. "Some of the European banks were facing their own set of challenges, including a relatively weak capital base and peripheral businesses with a low return to equity," he noted. "Hence, these underperforming businesses would have to be sold as part of the banks' efforts to streamline their balance sheets and performances." It would also have been too costly for banks with insignificant private banking businesses in Asia to ramp up operations, particularly at a time when some of them are fighting for survival or under tremendous pressure from shareholders to deliver returns, Mr Ng added. But for those that consider Asia home, such as Bank of Singapore, the timing could not be better. Mr Shaari noted that Boston Consulting Group research found that wealth in Asia-Pacific, excluding Japan, grew 13.4 per cent in 2015 - the highest in the world. The region is expected to overtake Western Europe next year to be the second wealthiest region in the world. No surprise then that Bank of Singapore parent OCBC Bank purchased the wealth and investment management business that Britain's Barclays Bank had in Singapore and Hong Kong in April. "We have enough scale to aspire to be among the top three private banks among our identified competitors in these markets by 2020," Mr Bahren added. Local banks are not the only ones to see the promise that Asia's private banking industry holds. The most recent deal, announced earlier this month, involved Lichtenstein's LGT Group buying ABN Amro's private banking business in Asia and the Middle East. LGT joins a small but growing group of boutique European private banks with centuries of history that have come to see Asia as the next frontier of growth. 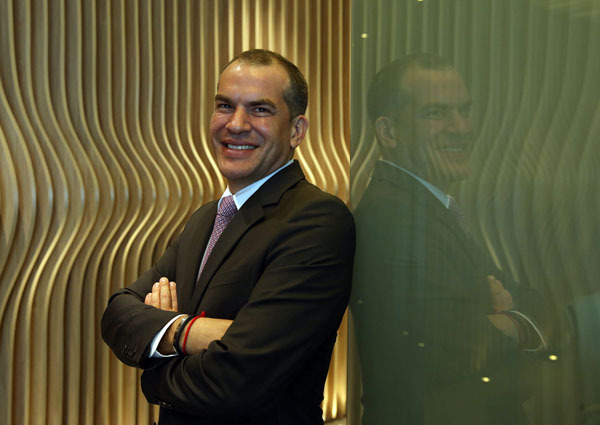 These include Bordier & Cie, whose Singapore chief executive Evrard Bordier said he senses a growing need for more authentic and intricate private banking services in the region. "Several other banks have been exiting Asia due to increased regulatory burden and rising costs but we are embracing these events," he added. "Bordier & Cie is just right in size and is able to manage operational costs effectively. "Singapore's robust regulatory framework is one of the reasons why we chose to establish our Asia headquarters here." Some big names have notably stayed out of the mergers and acquisitions game, including United Overseas Bank. Unlike its local competitors, it has not bought any of the private banking businesses sold by foreign banks here. UOB Private Bank head Ong Yeng Fang said its strategy is to take "a disciplined approach to pursue sustainable growth". Furthermore, she noted, the bank's Asian roots go deep. 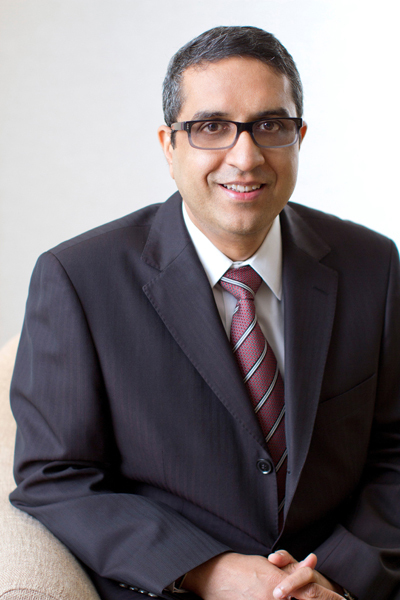 "Many of our clients are first-generation Asian entrepreneurs with unique personal and business banking needs. "After decades of banking with us, a number of them are now focused on succession planning as they hand over the reins of their businesses to the next generation." It is a similar attitude driving strategy at HSBC, said Mr Sandeep Sharma, head of HSBC Private Bank in South-east Asia, which has had to tighten its focus on key markets and businesses over the past few years. "In this region, we are focused on growing our business in the priority markets of Singapore, Malaysia and Indonesia. We are... among the first to complete global consolidation and key transformation of our business and operation risk frameworks." "While in the past we tried to be a bank for all segments and geographies, we have since repositioned our business, resulting in us operating in key growth markets where we have a well-established HSBC group presence," he noted. This process has enabled the bank to improve its allocation of resources and adequately manage increased regulatory demands, Mr Sharma added, "which gives us the confidence of growing our business here".